Lille is an enchanting city. It may not be sparkling like Paris but it has own charm. Once an industrial center in north France, it is now converted to be one of the most colorful cultural hubs. Any visit to Lille is highlighted with different slides of unique experiences boasting from Flemish architecture or renowned art museums. 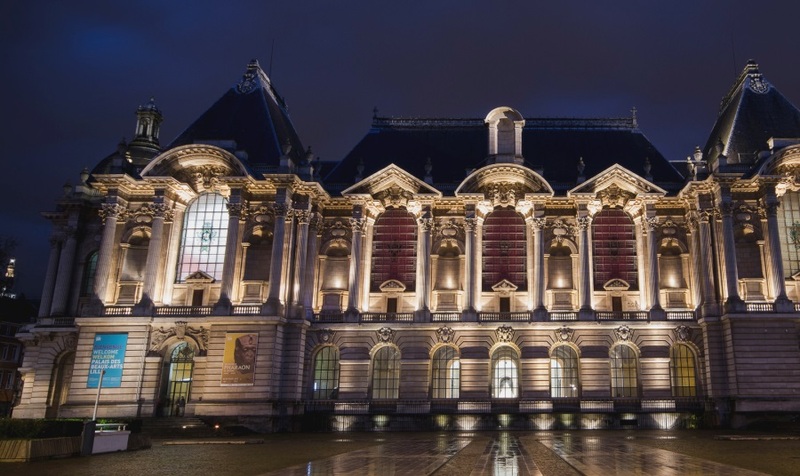 This municipal museum dedicated to fine arts, modern art and antiquities is a must visit on your trip to Lille. Known to be one of the largest art museums in France, this was one of the first museums built in France, established under the instructions of Napoleon I at the beginning of the 19th century. Spread across 22,000 sq mt, Palais des Beaux houses renowned works of Raphael, Donatello, Van Dyck, Jordaens, Rembrandt, Goya, El Greco, Courbet, Toulouse-Lautrec, Delacroix, Claudel, Jean-Baptiste Chardin and others. For military history lovers, the 18th century relief maps of fortified towns in Northern France and Belgium will be of great interest. The museum’s impressive building with a spacious and bright atrium has always been a tourist attraction. Located between the Grand Place and the Place du Théâtre, this former stock exchange of Lille is considered to be one of the major landmarks of the city centre. Built in the middle of the 17th century, this historic building is in the form of a quadrangle, made up of 24 identical houses enclosing an inner courtyard, which serves as a meeting place for booksellers, florists, chess players and tourists. A great place to hang around, this heritage spot is preferred by most of the tourists on their Lille visit. 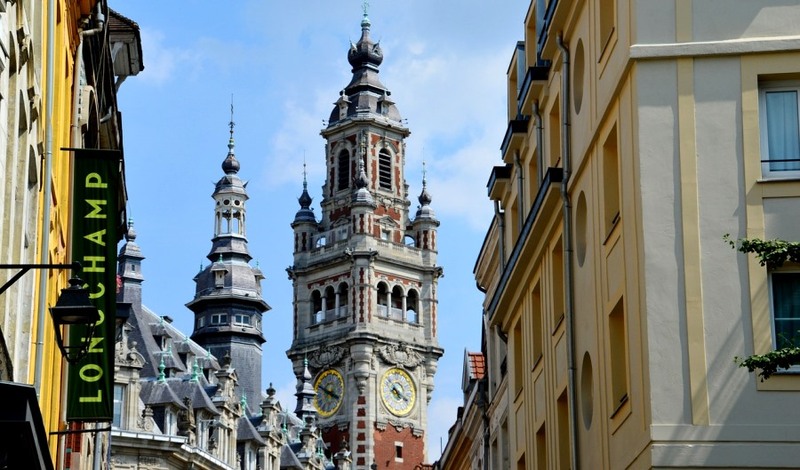 Lille’s bustling Main Square is the place where locals and tourists meet up or go sightseeing, and is surrounded by stately Renaissance and Baroque Flemish buildings with neoclassical facades. Filled with cafes and brasseries this Grand Place serves as a centre of social activities. The Goddess monument, in the middle of the square commemorates Lille’s resistance to the Austrian siege of September 1792. Spend some relaxed time sipping into a cappuccino and watch the local life at this square. The Lille Métropole Museum of Modern, Contemporary and Outsider Art (LaM) is an art museum, spread across 43,000 sq ft consisting of more than 4500 artworks. This museum is a must visit to check out the museum’s collection that offers an overview of modern and contemporary art and electronic media. The lush green sculpture park is good for a leisurely stroll, while you check out works of Jacques Lipchitz, Eugène Dodeigne, Picasso, Calder and others. Built in between 1667-70, this pentagonal citadel of the city wall of Lille hosts the Corps de réaction rapide France, and was designed by Vauban, the famed military engineer who left his mark all across France in his era. Though entry of tourists are prohibited in this military base, but you can admire the various gates and outer walls on a ramble in the canal side park. Also known locally as the Bois de Boulogne Zoological Park, this zoological park located in the Hauts-de-France region in the Vauban Esquermes district of Lille, is a compact, lush green zoo that houses varied species of birds, mammals and reptiles in themed areas. Admission is completely free here. A great place to spend some quality time, you can explore the zoo which is sub-divided into 7 divisions, so in Les Terres d’Afrique are zebras and rhinos are found, while the American zone has alpacas and tapirs. This modern cultural centre which was once a massive textile mill, is worth a visit. The iconic red brick building of 1855 was converted by a Dutch architectural agency NOX, into city’s new landmark. This exhibitions, theatre and studios in local cultural center set in a metallic shell facade, has an auditorium that can accommodate around 1000 audiences. One of the largest markets that can get most lively is a must visit in Lille. This outdoor markets are held at Place Nouvelle Aventure on the mornings of Tuesday, Thursday and Sunday. Enjoy the vibrancy of this market place while you can desire to have anything – from rotisserie chicken right from the spit to antiques, fresh fruits, veggies and even clothing. Begun in 1453 by Philippe Le Bon, Duke of Burgundy, it is one of the rare reminders of the flamboyant gothic style structure in Lille. On the ground floor is the Salle des Gardes, while on upstairs is the Salle du Conclave. The square in front of this historic structure is also where Lille’s first-rate Christmas Market takes place in December. Built in Brabant Gothic style, this church was founded in 14th century and underwent several renovations. With its tower on the facade, this historic structure is an example of a “Hallekerque” – a type of structure adapted to the fragile, marshy soil of Flanders. This church is also distinguished by its harmonious interior featuring five aisles and 36 tall columns. The sanctuary is adorned with 17th and 18th century paintings by Lille artists. One of the chapels features an interesting 16th century statue that depicts “Christ’s Scourging.” This picturesque church can be a great Instagram feed with its amazing photogenic features.